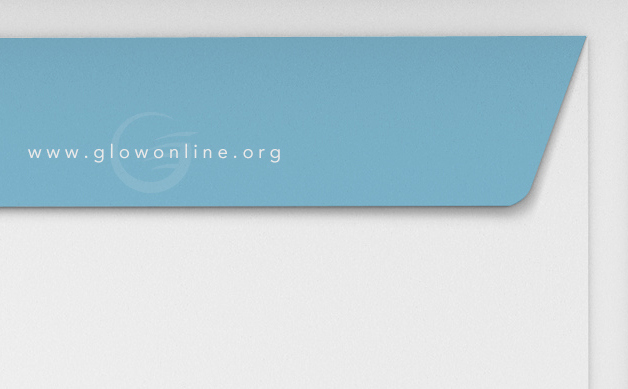 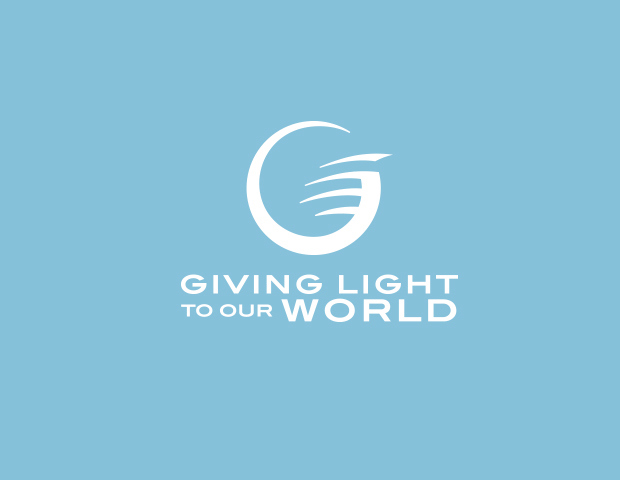 Glowonline.org is a publisher with a mission to spread God's word to the whole world as a fulfillment of Revelation 17:1. 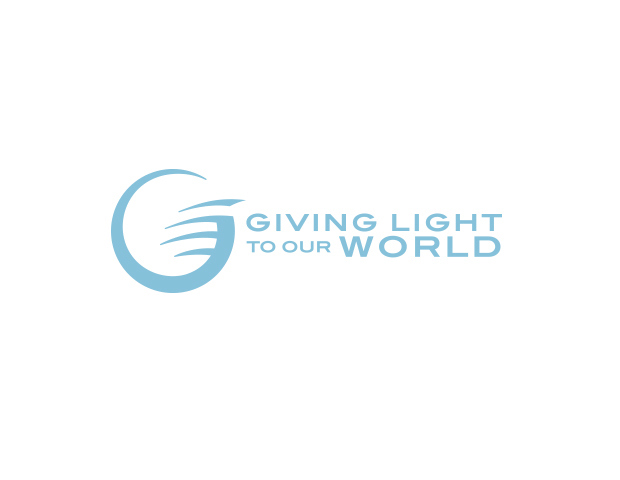 Their icon had to represent that mission, while also lending itself for multi-language use, and remain religiously neutral for use in religiously hostile territories in the world. 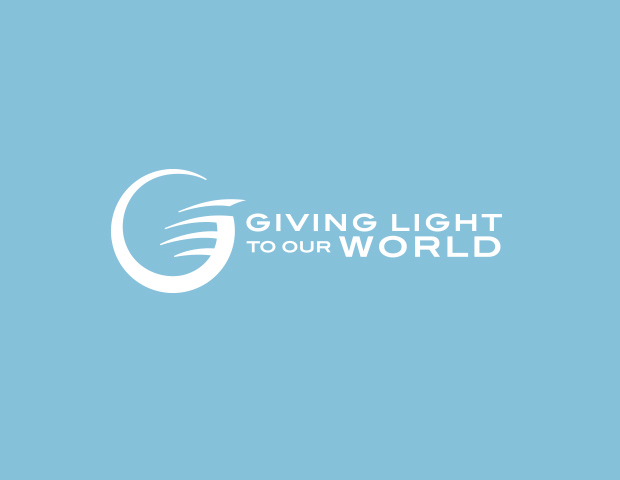 The icon portrays four stripes encircling the earth standing for the 3 angels messages seen in revelation 14:6-12 and the 4th angel of revelation 17:1. 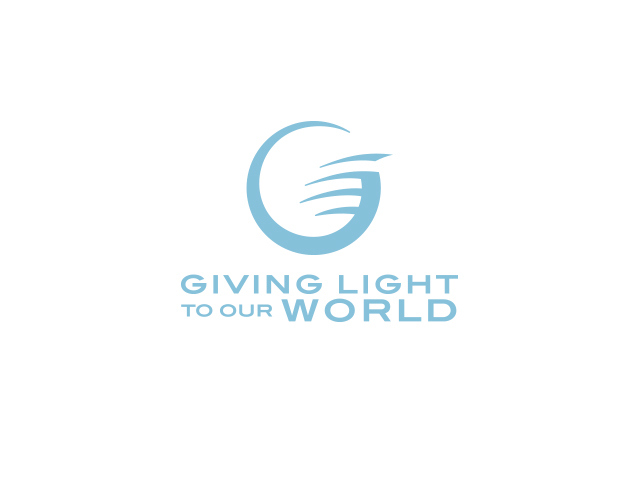 At the same time, the icon alludes to the shape of a uppercase "G" which is the first letter of their brand name. 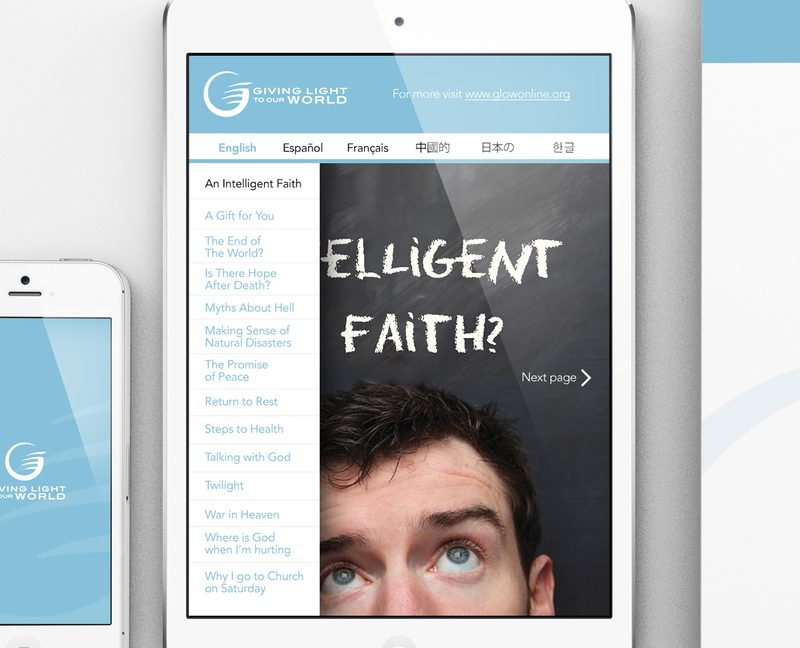 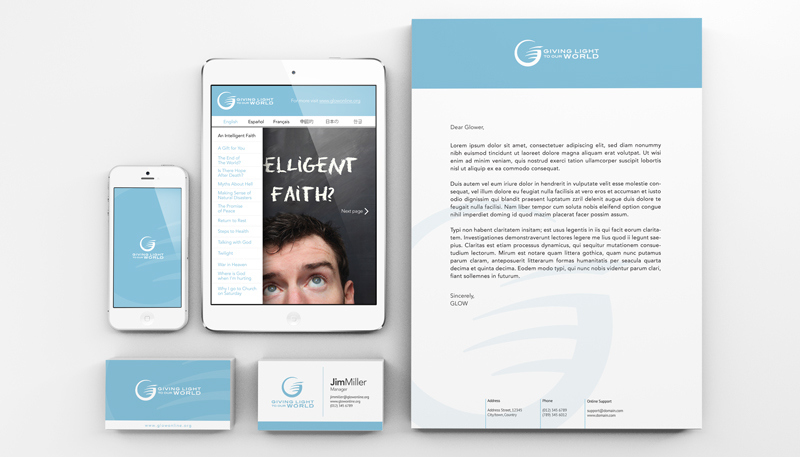 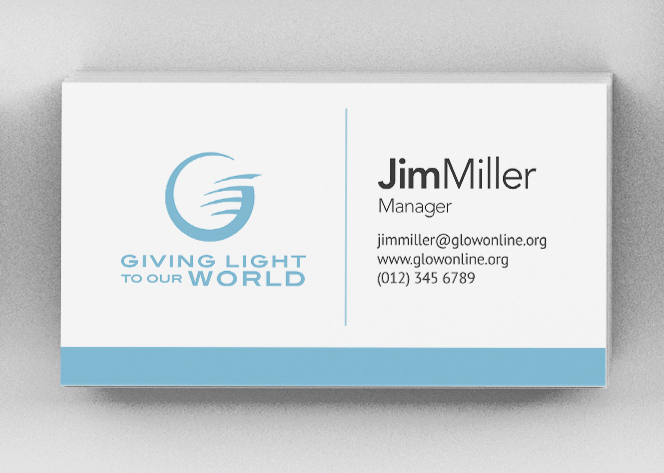 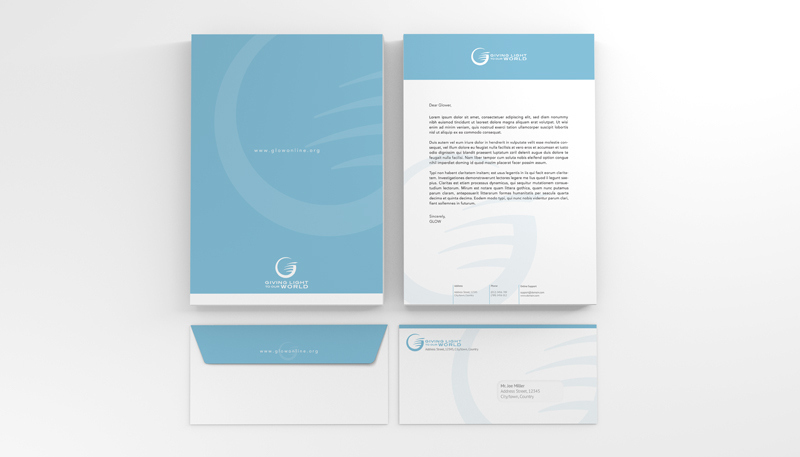 GLOW does not only envision spreading God's word in the printed form but also through digital mediums.